We arrived in Blantyre yesterday, very tired and not expecting to be quizzed on the referendum immediately. I hadn’t realised that it would be such big news across the world. 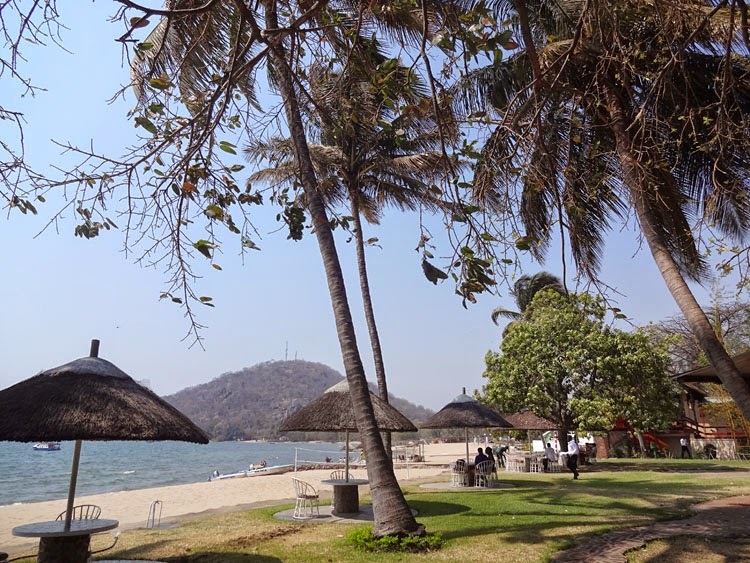 Though when you think about it, Malawi is a former British colony so having gained independence themselves, you can understand why it is of such interest to the people here. Today we’re having a rest day, getting ourselves organised, shopping, and generally taking it easy after the exhaustion of the journey. We are also reminding ourselves of the dance steps of some Scottish dances we plan to teach people while we’re here. 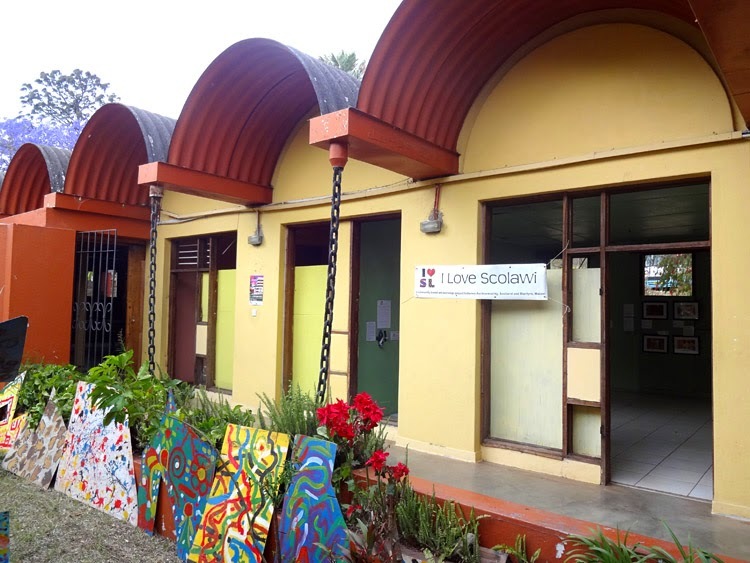 There is only so much time that the I Love Scolawi participants can spend looking at the pictures, and we thought the remaining time could be spend doing something fun and Scottish. Bring on the Gay Gordon’s! Tomorrow we meet up with our friend Mary, and we will show the exhibition off to people for the first time. Mary works for WOFAD (Women for fair development), a project to support women who have been affected by HIV. The women participated in my project, and it will be great to meet everyone again. 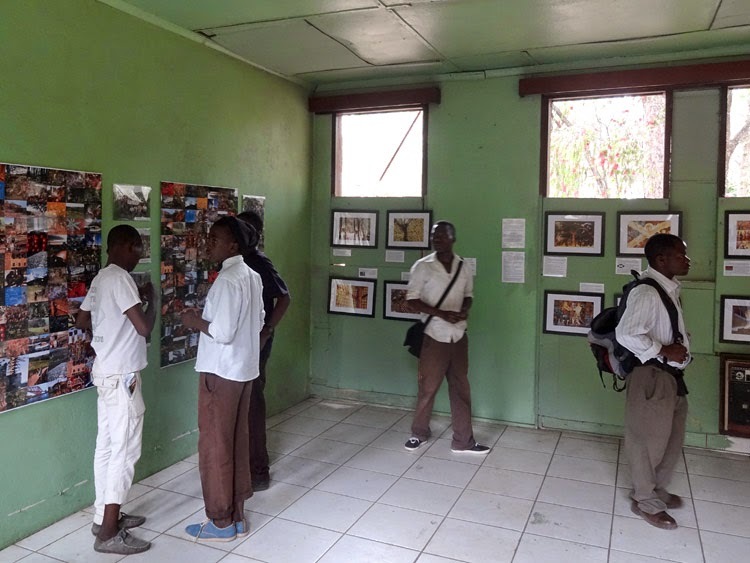 We had decided previously that we wanted to have a bit of a party atmosphere when we showed the exhibition to the participant groups in Malawi. With this in mind we originally set a budget of £40 per preview, but because I’ve had to cut budgets across the board, this has unfortunately been reduced to £20 per preview. For WOFAD, we were taken by Mary to Blantyre’s market to buy provisions for a large, meat filled meal for the women, which they prefer to snacks, and which won’t affect any medicines they are taking. My children found the market place quite scary, and remembering how I felt for the first few days in Malawi last time, I’m not too surprised. Knowing what to expect from a place is very comforting, and the market is very busy, with a lot of the stall holders calling out to us to buy from them. There are men to get out of the way from because they are carrying heavy, 2 metre wide loads of potatoes across their necks, there was a child begging, a lorry load of security dogs barking, and flies everywhere. It was a world away from the very western supermarket in Blantryre that we’d bought provisions from yesterday. The market is very ‘not-British’ and was a bit of a shock to the kids. 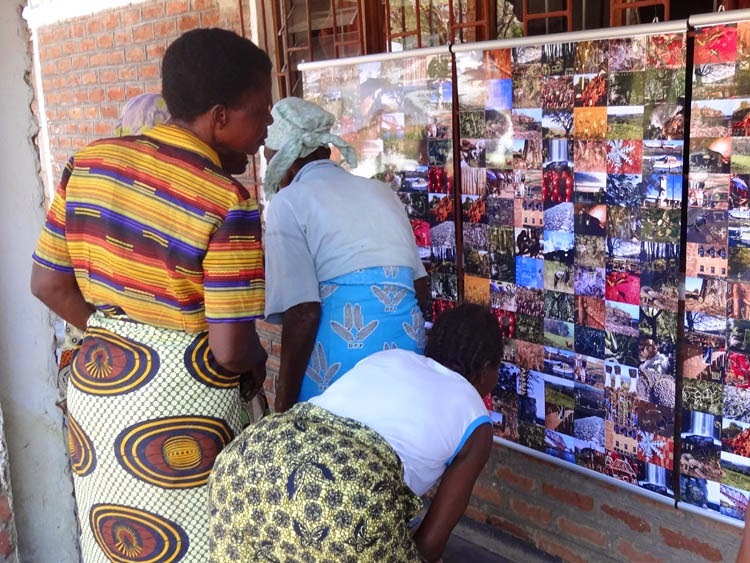 We received a wonderful welcome from the women at WOFAD, and everyone was really excited to be given back the etched pictures they had created for the project. We put the exhibition posters up on the window bars outside, and everyone rushed out to find their own picture amongst everyone else’s. Lucia was really happy to see that her picture had been enlarged as one of the best 40. Just thinking about her picture always lifts my spirits, and is one of my absolute favourites. The women worked together to cook the meal on an open fire, which, as an outsider was very interesting to watch. The rice was cooked in a huge pot, and the meat and veg were cooked separately, because the children and I are vegetarian. While the meal was cooking we taught some of the women The Gay Gordons. There wasn’t much space, but we managed a couple of sets before the heat was too much and we had to stop. Scottish dancing is very different to Malawian dancing, and much more strictly regimented, but I think the ladies appreciated the beauty, style, and energy of it while they were laughing about how strange it looked. 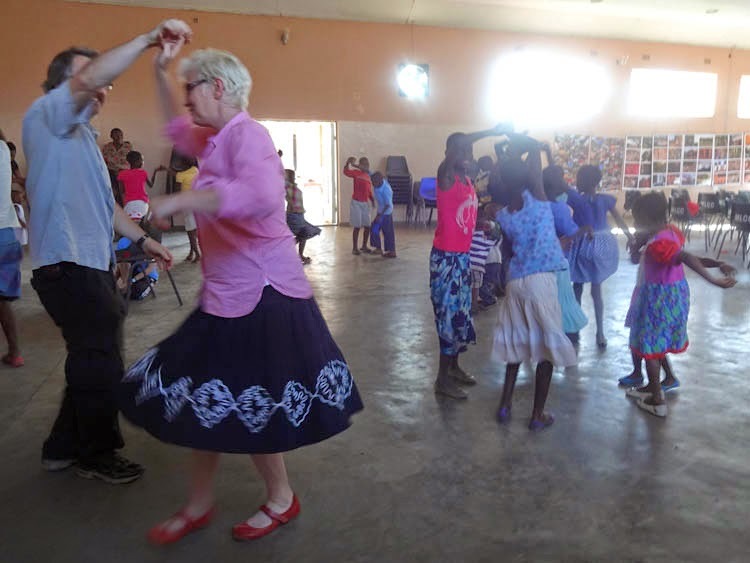 We then transferred to Malawian dancing, which is also full of energy, and were given a very good display, which Tabi (my daughter) and I were invited to join in at one point. We didn’t really know what we were doing, but we really enjoyed being part of the group, and clapping and shaking our hips with everyone else. After the delicious meal, we left the women to meet up with the children from the Amapatsa Care Foundation. Amapatsa is a charity which was set up by our friend Mary to help some of the vulnerable children in Blantyre. 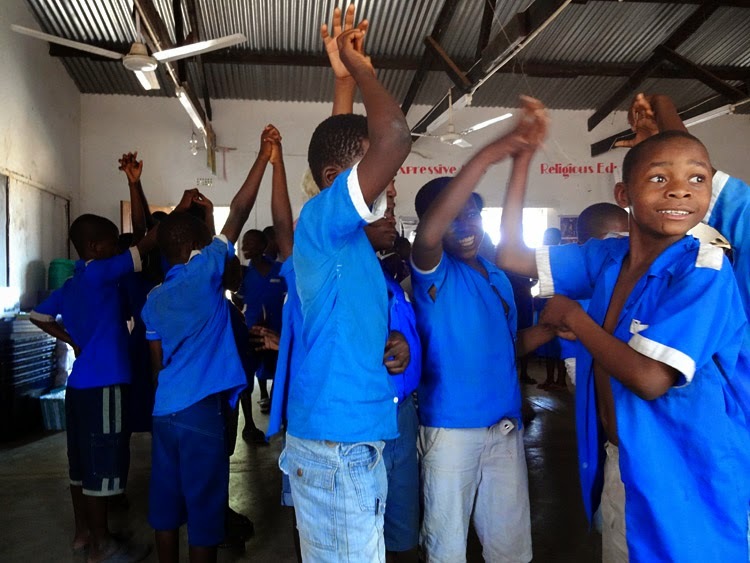 One of the ways the charity helps is by paying the school fees of those who can’t pay, and finding uniforms for them too. Education in Malawi used to be free, but now the schools ask for 600 Kwatcha (less than £1) from each child at the beginning of the school year. Children who have lost one or both of their parents to HIV (or other causes) find this a huge amount to pay in one go, so Amapatsa pay their fees to get them into education, and keep them off the streets. Mary had organised a hall for us to meet in, but it was about a mile from where the children live, so we had to transport everyone (about 40 children plus 6 adults) via one of the small buses that run in Malawi and our hired 4x4. I have never seen so many people fit into such small spaces before. The buses here are the size of a VW campervan. Just like with the WOFAD women, the children loved looking through the posters to find their own pictures, as well as finding themselves in the group photos I took at the end of each workshop of everyone with their etched photos. They gave us a fantastic display of dancing, and a play which we really enjoyed. One of the best memories of the trip so far was the enjoyment on the children’s faces as they spin round during the Scottish dancing. In the Gay Gordon’s there are four different sections, and their excitement grew and grew through the first three sections before being able to spin round during the fourth. Just thinking about it again makes me smile. We travelled up to the venue at the Sunbird Nkopola Lodge Hotel on Thursday 25th September. the day before the festival kicked off. The trip is about 125 miles and took about four hours. The road from Blantyre to Zomba (about a 1/3 of the way) is brand new and only took 3/4 hour, but after that the road got slower, and at one stage was pitted with potholes for many miles. There are always lots of people walking or cycling at the edge of the roads in Malawi, which is strange to western eyes. My husband, Bill had noticed that Malawians use their horns a lot when driving, and on this long journey he realised that the heat meant that cyclists and pedestrians don't hear cars coming up behind them, so if a car or lorry is coming the other way you beep the people to let them know you're there, and they get off the road for you. He was soon beeping the horn the same as everyone else. When we arrived at Nkopola Lodge we were amazed by the beauty of the setting and it felt we had arrived at paradise. My daughter, Tabi was stunned almost into silence, and told us that this was what she had ever wanted from a holiday, and that she wished she were there with her friends rather than her family so that she could enjoy it properly! Nkopola Lodge is a really expensive hotel, so we weren't actually staying there. We camped the nights in the grounds of another hotel about a five minute drive away, and spent our days at the lodge, starting off with a cup of tea after breakfast sitting at one of the tables shown in the picture, and ending with a meal from one of the many food stalls. There wasn't a lot of choice for vegetarians on a budget, but I can thoroughly recommend the red bean stew and chips that I had for three nights in a row for 1000 kwacha a pop (there are about 670 kwacha to £1 ). One strange thing we noticed when we were putting up the exhibition was that below the equator the sun travels through the northern part of the sky. As a photographer, I'm always very aware of where the sun is, and I notice the light and shadows constantly. This meant I knew instantly where the best place to hang the posters would be so that they avoided the direct sunlight, but it was Bill who noticed that I had placed them on a South facing fence, which would be a complete no no in Britain. Sometimes it's the small things that make you feel a long way from home. On Wednesday 1st October we headed down the hills to Chikwawa at the bottom of the Rift Valley (called the Shire Valley in Malawi - pronounced sheer-ee). It was wonderful to see my friend Monica and all the children again, and to see how much they appreciated us coming back to show them the exhibition. It's always a lot hotter in the valley than in Blantyre, which is about 1000 metres above the valley floor, but this was a particularly hot day, even for there. We checked what the temperature was in Chikwawa on that day and it was 38 degrees! Teaching Scottish country dances in that heat was very hot work, but the children had such a great time learning them that it was all worthwhile. Unfortunately, my son Arthur felt unwell that morning, and he soon became very overcome with the heat. He was burning hot and faint for most of the day, and we struggled to keep him cool and give him enough water to replace what he was losing. The next day was cloudy and cool though, and this gave him a chance to recover. By Friday he was feeling totally back to normal again, thank goodness. 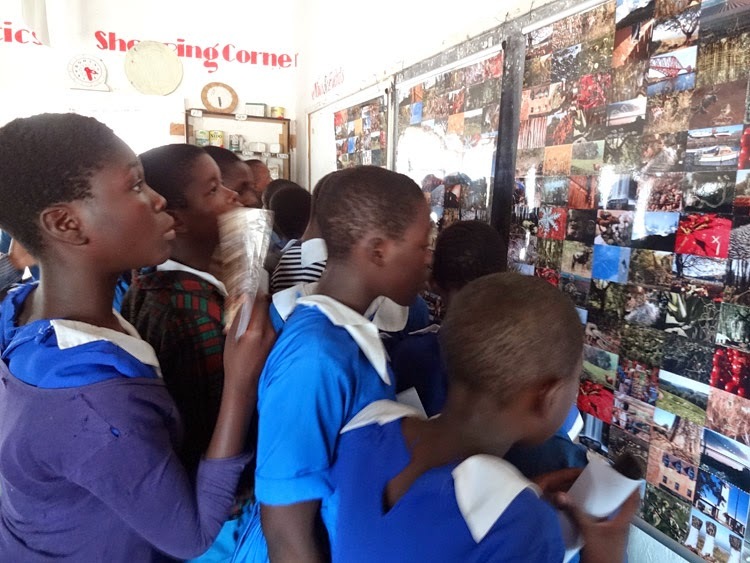 We were unable to show the exhibition to the Chimwemwe Children's Centre, which was a real shame, but we met up with our friend Mac who runs the centre, and we showed him the posters, and played the video of footage taken at their workshop which Bill had edited together. We gave a copy of the video to Mac so that he could show the children. 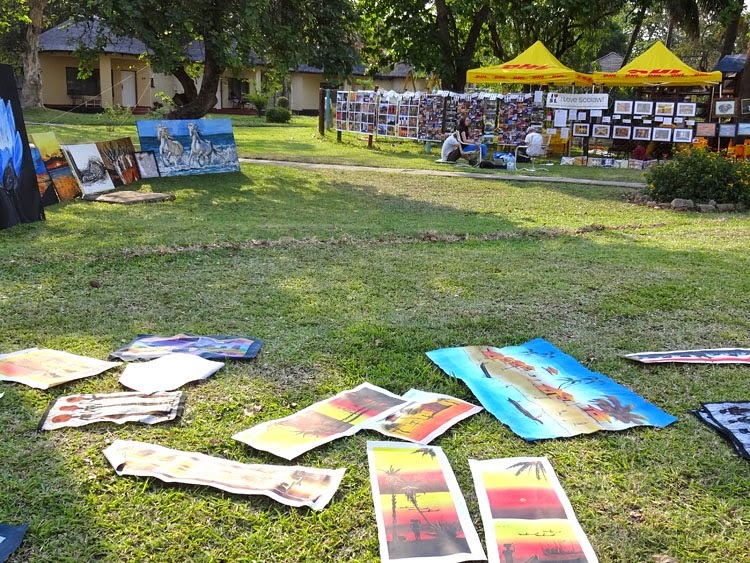 The festival site is a culture centre that was build by the French, and abandoned when the cashgate scandal broke (millions of pounds worth of aid went straight into government official's pockets). The building is architecturally amazing, and if full of all these shell-like empty rooms, still painted but stripped of anything of value. The festival was much more geared up towards promoting visual artists than the Lake of Stars, which seemed much more music orientated, and I had a constant stream of people coming into my room to see, and talk about the project which was lovely. I was only able to attend on Thursday 2nd and Friday 3rd, which was a shame because the weekend was the main part of the festival, and I think it would have been busier then. But my children had already had two weeks off school, and they needed to get back to their studies. The posters and information sheets stayed up for the whole festival. I gave a lot of thought about what to do with the posters from the exhibition once the festival was over, because it would be a shame just to bring them home with me. My friend, Mary from the WOFAD project helped me decide, by asking if the women could keep some of the posters to remember the project by. 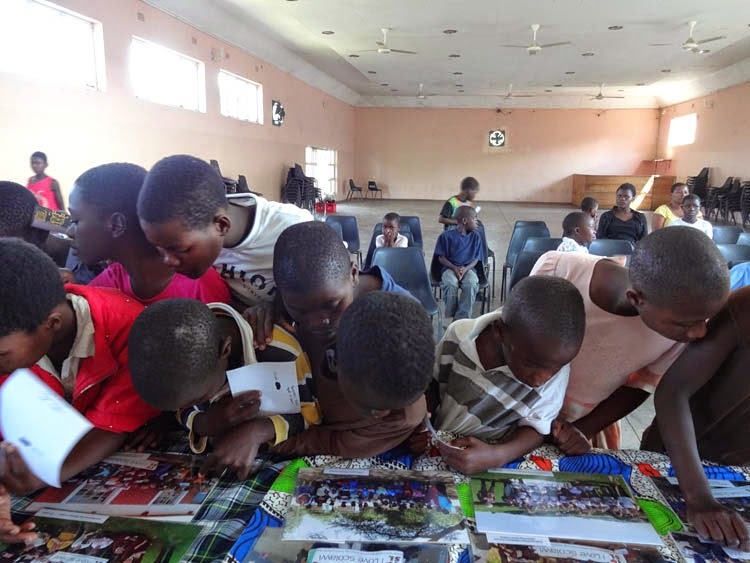 I thought this was an excellent idea, and have shared the 8 posters out between WOFAD, Chimwemwe Children's Centre, and Chikwawa Primary School. I have another set of the posters showing everyone's work, and the enlarged pictures will be shown individually in Scotland rather than on posters. I had the opportunity to speak with a lot of the Malawian artists at the festival, and was asked many times if there were any opportunities for Malawian artists to sell their work in Scotland, and how Scottish and Malawian artists and photographers could work together. It gave me the idea of setting up an organisation to help with this, which I plan to give a lot of thought to this idea once my exhibition is up next week. 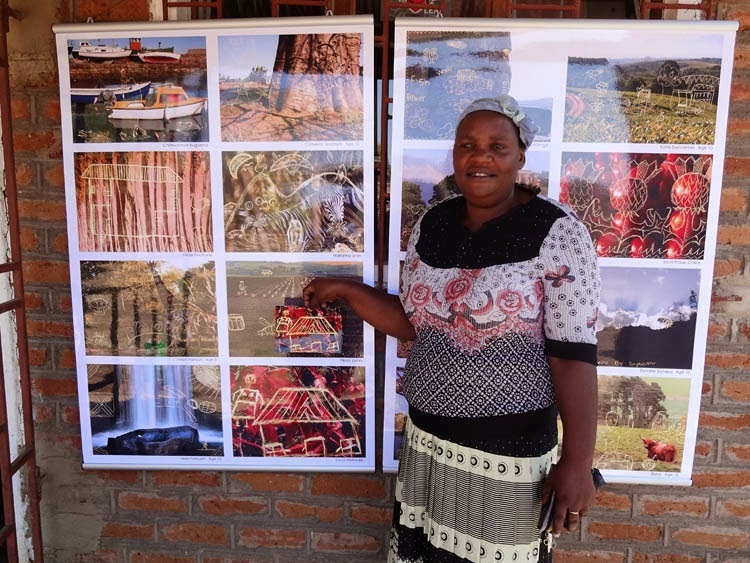 I'm already getting quite excited about the prospect of collaborating with artists from Malawi, and it makes the prospect of returning to Malawi one day a lot stronger. I can't imagine never going back.